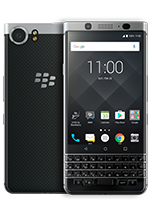 IRVINE, Calif. – May 30, 2017 – Today, TCL Communication, a leading global smartphone manufacturer and global smartphone licensing partner of BlackBerry Limited, is announcing that the award-winning BlackBerry KEYone will officially be on-sale in the U.S. beginning tomorrow, May 31. 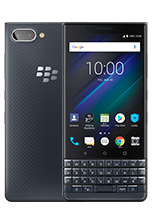 Available online from Amazon, this all-new BlackBerry smartphone will also be available at select Best Buy stores and online at BestBuy.com for $549.99 USD. 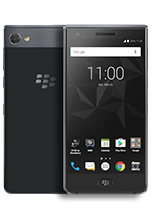 An iconic BlackBerry smartphone made for the modern user, the BlackBerry® KEYone is housed in a durable and sleek aluminum frame with a soft textured back for extra grip. It has a 4.5-inch touch display featuring impact and scratch resistant offering the best in resilience and durability. 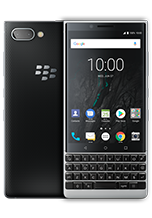 The BlackBerry® KEYone uses an innovative Smart Keyboard reimagining how we communicate. Set up to 52 customizable shortcuts and transform each letter key for quick access to your favorite apps and most important contacts. Touch navigation responds to touch gestures like a trackpad, to quickly scroll through webpages or emails. Flick typing makes predictive text even faster with the ability to flick words onto your screen as you type. The device includes the world’s first keyboard-embedded fingerprint sensor conveniently located in the spacebar and provides added device security. TCL Communication Technology Holdings Limited (TCL Communication) designs, manufactures and markets an expanding portfolio of mobile and internet products and services worldwide under three key brands – TCL, Alcatel and BlackBerry. The company’s portfolio of products are currently sold in over 160 countries throughout North America, Latin America, Europe, the Middle East, Africa and Asia Pacific, TCL Communication ranked as a top-10 global smartphone manufacturer by IDC. Headquartered in Hong Kong, TCL Communication operates nine R&D centers worldwide, employing more than 13,500 people across the globe. For more information, please visit www.tclcom.com.